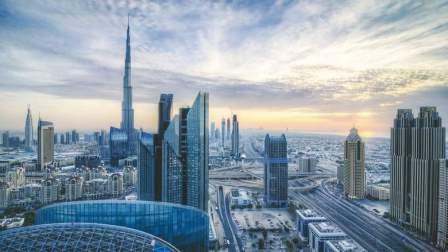 Dubai, the region's hub for business and financial centre, is more economical than most cities in the Western world as its residents enjoy stronger purchasing power, reveals a new study released on Tuesday. Ranked 28th among the world's top 77 cities, the emirate is less expensive than Geneva, New York, Tokyo, London, Paris, Stockholm, Luxembourg, Los Angeles, Frankfurt, Hong Kong and others, according to the annual rankings of metropolitan areas by Swiss bank UBS. "Glamorous, impressive and futuristic, Dubai exploded onto the international scene with world-class hotels, stunning architecture and head-turning massive-scale projects to become a global city and Middle East business hub. Today, this desert oasis is home to over three million people and is known for being a playground for expats and the rich. In this city of superlatives, there is an endless choice of activities to indulge in sun, sand and shopping. It also features a more down-to-earth, charming side hidden behind the tourist attractions," the Swiss bank said. Zurich, Geneva, New York, Oslo, Copenhagen, Tokyo, Paris, London, Chicago and Milan round up the top 10 most expensive cities. Cairo, Lagos, Manila, Kiev and New Delhi are the least expensive. But if we exclude rents, than the emirate becomes even more economical is rated 36th. This reflects that the falling rents have a positive impact on the cost of living in the emirate. "Zurich tops the list as the world's most expensive city, closely followed by Swiss rival Geneva. However, our Purchasing Power Index clearly indicates that we are beginning to see stronger competition from overseas with only three European cities left in top 10, all of which lost ground compared to the report's 2015 edition," said Daniel Kalt, chief economist and chief investment officer for Switzerland, UBS Global Wealth Management. Anurag Chaturvedi, managing partner, Chartered House, says Dubai's real estate and hospitality sector are very affordable as compared to other cities in world considering the location, area and amenities of same standard. "Considering Dubai's strategic location, it offers well connected trade platform and companies find trade and logistics as Dubai's rating over other cities. The emirate is also one of the most affordable places for the automobile sector. Residents of other cities can't afford such luxury cars which is affordable here. Also, FMCG is 23 per cent cheaper as compared to New York and London," he said. Naveen Sharma, chairman, The Institute of Chartered Accountants of India (Dubai Chapter), say Dubai has many advantages over other global cities such no direct taxes. "Most of the items we consume in Dubai are economical than New York or London. For example, housing in Dubai is economical than those two cities. If you compare office space, Dubai has so many choices and it is not congested because the infrastructure is new, whereas New York and London both have good infrastructure, but it is old," he added. He pointed out that disposable income of Dubai residents is also high as compared to other parts of the world, hence, it is no surprise that number of millionaires in Dubai is more as compared to some of the other major cities. Transportation, infrastructure and connectivity are some of the other aspects that stand out in comparison, he added. More importantly, the study found that Dubai fares even better when it comes to purchasing power of the cities' residents. Ranked first in the region and 14th worldwide in the Purchasing Power sub-index, Dubai residents enjoy better financial ability to buy products and services than residents of cities like Berlin, Vienna, Doha, Tokyo, London, Riyadh, Paris, Seoul and Kuala Lumpur among others. In terms of earnings, Dubai is ranked 36th based on a study of 15 different professions such as bus drivers, medical assistants, product managers, teachers and doctors. Average gross and net hourly incomes in Dubai are $41.1 and $56, respectively. Net hourly income earned by Dubai residents is higher than the residents of Madrid, Barcelona, Doha, Seoul, Riyadh and other cities. Similarly, another factor that reflects the cost of living and purchasing power of the residents is the amount of time they spending to earn popular foods and products. In this case, UBS found that on average a Dubai resident has to spend 21.8 minutes to buy a Big Mac and 107.6 hours (4.5 day) to buy an iPhone X. While people in Oslo, Doha, Paris, Rome, Riyadh, Brussels, Madrid, Moscow and many other cities have to work more time to buy these two products. According to Anurag Chaturvedi, Dubai also offers moderate incentive and is more profitable as compared to other countries. "Cost of living index in Dubai is 28 per cent lower then New York and 22 per cent then London. Dubai has also cheapest public transport in the world and lower cost-of-living provides higher purchasing power to its residents."